Temple Run is one of the most downloaded iOS apps, and for a good reason - the game where you have to run as fast as you can is addictive and fun. You’ll soon be able to play it on Android as well. 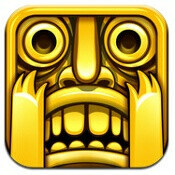 Temple Run creators Imangi Studios announced that the game will hit the Android Market, aka Google Play, on March 27th. Currently, Temple Run tops the iOS App Store ratings in free apps and most grossing applications. The game has been downloaded more than 40 million times and has 7 million active daily users. You don’t need to pay to download the game - instead it makes money via in-app purchases, so you can improve your character and get new ones.